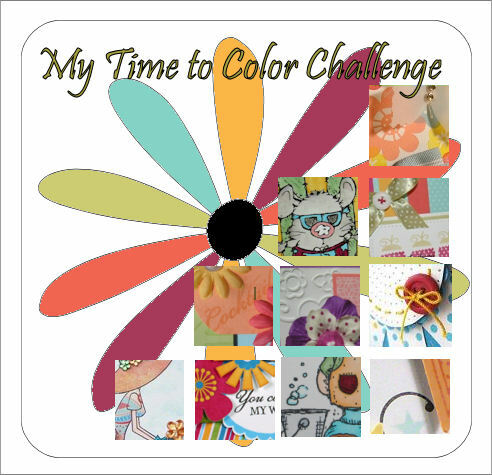 17 Responses for "My Time to Color Challenge"
WOW this is just amazing! How fun and I guess we can all say YOU totally rocked the color challenge!!! LOL Thanks for a fun and challenging experience. Hugs n smiles! ACK! I’m so jealous you got to use her early!!! Isn’t she ADORABLE! I loved playing with her too 😉 hehe! This is a FABULOUS project Lauren…wowzer girl! 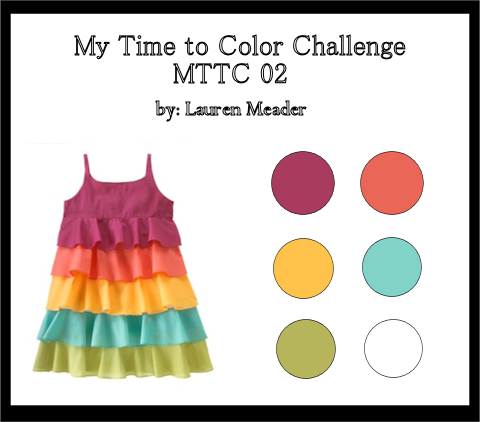 Your really rocked the color challenge for this week Lauren, I am pretty sure you had FUN when making this. The look is very fresh and inspiring, LOVE it!!! Enjoy the rest of the weekend !! that is insanely cute and now I am completely jealous that I don’t have those CC Designs stamps yet.. and I was hoping to have a month where I didn’t need to order anything.. yeah right! How stinkin cute is that! I love the whole thing. I’m a gone-er for those images for use too! Oh la la! The mushroom alterable is super cute. I love Heidi! She is so adorable. Thanks for the sneaky peeky of the Swiss Pixies! That is absolutely adorable. I love everything about it, especially the stitching! AWESOME AMESOME TOTALLY!!! Can you tell me where you got the apple and mushroom to alter??? I am dying to try this stuff!! This is so stinkin’ cute! Love all the buttons and of course her fabulous pink hair! Oh my goodness Lauren, that is so cute, love that image, she’s a doll! Your altered items are absolutly gorgeous!!! that little girl is too cute! I hope I get to play along thsi week. I had a great idea for last week but still haven’t done it…. OmGoodness!!! I love everything. How fun to be able to decorate a room anyway you want using these cute little MDF images. I love all the dimension to it as well. Thanks again, another cute stamp set I am going to have to get. You are so good at enabling me hehehe I was telling my sister last weekend that Michael’s (at least, since we were at Michael’s when I said it) should pay you commission. This is A-DOR-A-BLE! Love all of the papers and the new stamp is perfect sitting at the base of your mushroom. Oh that little pixie girl is just too stinkin cute!!! Oh my gosh! Yes, you are insane for hand stitching around that mushroom but it does add a great effect. Too cute Lauren, just way too stinkin cute!! ACK! Love it!! Too cute – the mushroom, the little pixie, the sentiment…brilliant. Way to go Girlie! !